When the original Audiobus was released there were very few audio effects apps available on the App Store. New comers might find it hard to imagine, but you couldn't readily use them; except in a limited capacity with an audio interface. Audiobus' arrival opened up a whole new world of possibilities. Audiobus 3 also brings us a whole new class of MIDI Effects apps! Johannes Doerr, developer of Midiflow and iMIDIPatchbay, is the first developer to take a crack at that! Midiflow for Audiobus 3 is a series of MIDI effects that provide both utility and creative functions. These can be bought as a full bundle for $9, a Key Effects Bundle for $4, or individually. 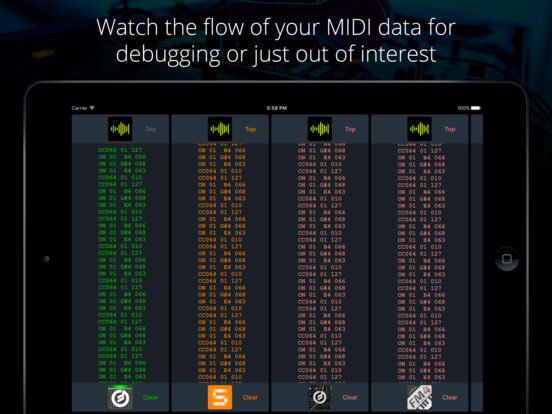 Midiflow Transposer and Midiflow Monitor are both free. 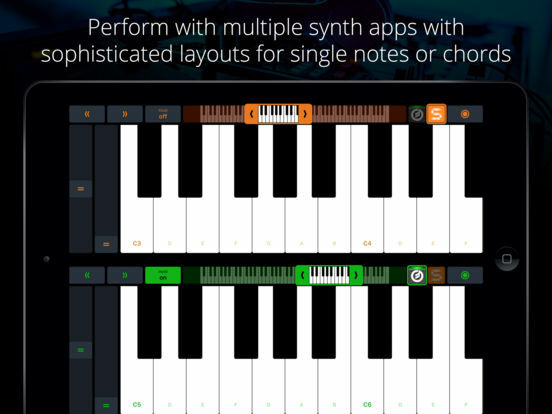 This keyboard for Audiobus 3 allows you to perform music with multiple synth apps at the same time. Use the piano or scale layout to play single notes, and select the chord keyboard for accompaniments. With Audiobus 3, it's super simple to connect the keyboard to your synth apps. This MIDI sender app for Audiobus 3 lets you control effect parameters of other apps – in a way that no touch screen can replace – by moving the device. Set any kind of MIDI command like volume or modulation as output and fine-tune it to the exact motion range you want to perform with. 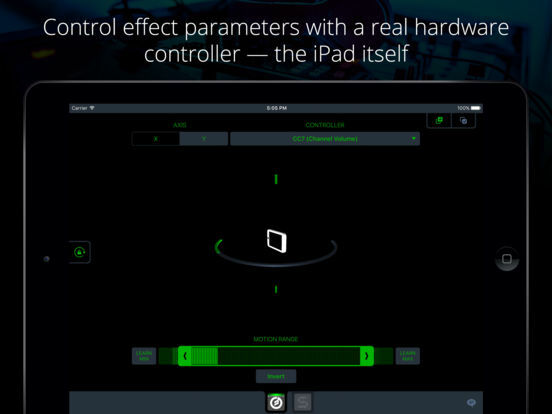 You can even control multiple effects simultaneously. If you play your synth apps with an external keyboard, Midiflow Splitter is an essential tool for you. 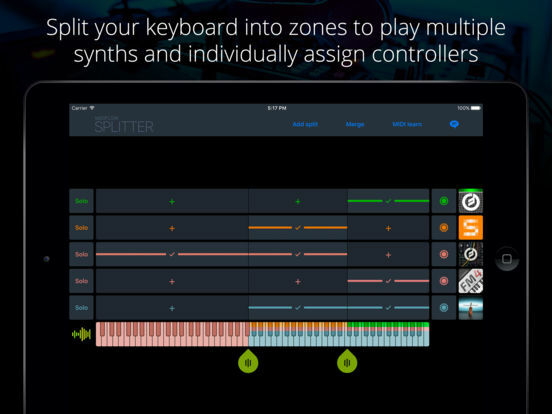 This MIDI effect app for Audiobus 3 lets you create split and layer configurations in an easy but powerful way. Thanks to Audiobus State Saving, everything can be saved and recalled when your show is about to start. This MIDI effect app for Audiobus 3 is a filter and remapper for note velocities. 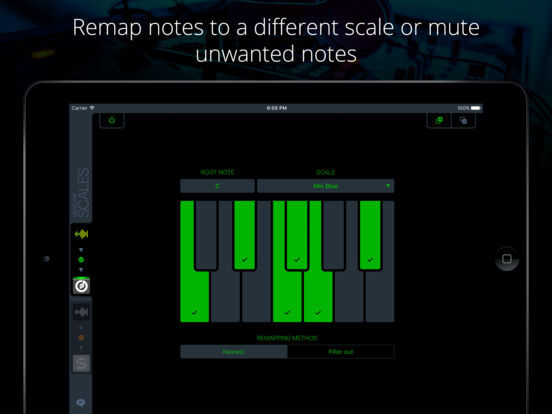 Filter out notes that are too loud or too quiet, or remap them to different values. 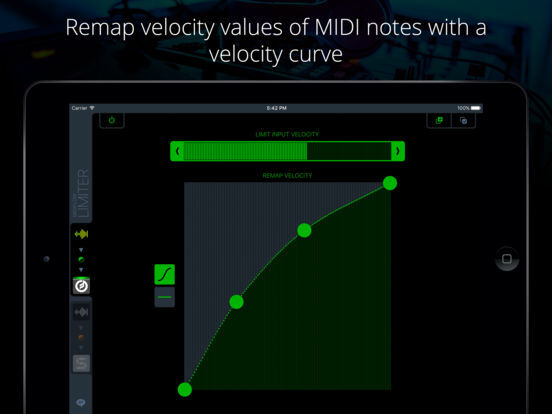 Use multiple instances to create velocity layers, which trigger different sounds based on the notes' velocity. This MIDI effect app for Audiobus 3 lets you filter out unwanted notes or remap them to a scale. Thin out tracks from a sequencer to create a reduced variation. Prevent wrong notes when playing on a keyboard. 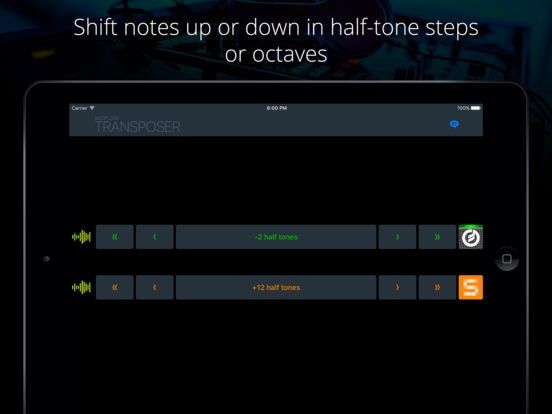 Generate harmonies by using the app in combination with Midiflow Transposer. Whether you want to add a human touch to note sequences or seek inspiration, this MIDI effect app for Audiobus 3 is a simple but effective tool for you. Randomize notes, note velocities, and timing just by specifying a desired range of variations. 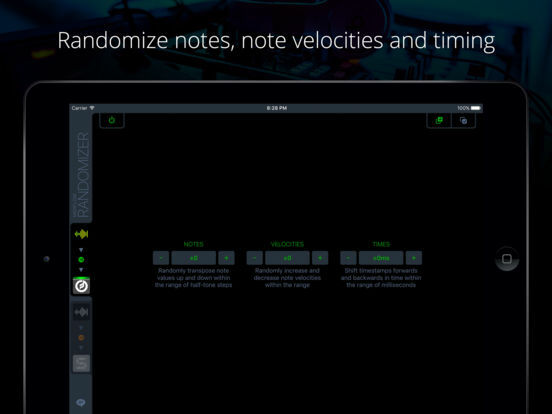 With the help of Midiflow Scales, you can keep your randomized notes in harmony. This simple MIDI effect for Audiobus 3 allows you to transpose notes. You can shift by octaves and half-tones. This is useful if you want play an external keyboard in a different tone. You can also use it to create harmonies, i.e. create a second voice in an interval. Since this app is so essential, you can get it for free. Johannes put together an excellent series of tutorial videos to show off the apps, embedded here as a playlist.